Having issues with Crystal for Chrome and need to uninstall? Before you do, we encourage you to check out our articles on the extension settings menu to troubleshoot the issue. You can also reach out to hello@crystalknows.com. 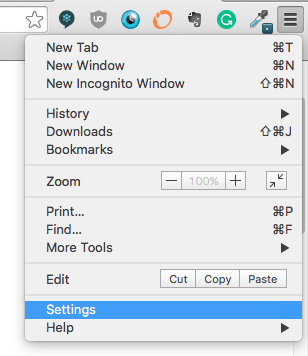 If you’re still looking to uninstall the extension, navigate to your Chrome settings. From there, select extensions from the navigation on the left. Scroll down to Crystal and click the trash can to remove the extension.